Jaws dropped at the Gooding and Company Auction at the Pebble Beach Concours d’Elegance when a 1959 Ferrari 250 sold for more than $18 million. It was equally awe-inspiring to see 16 priceless Ford GT40s gracing the green of the 18th hole. But the high-priced admission tickets for events like the Pebble Beach Concourse or Quail Gathering make them exclusive affairs. 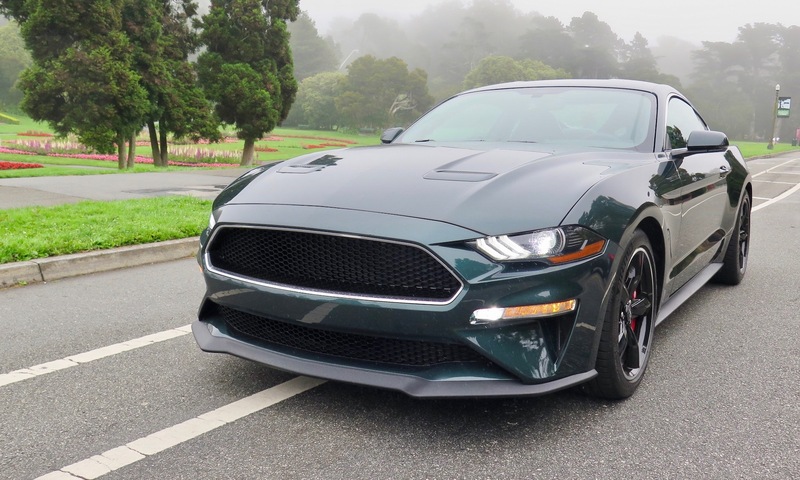 With that in mind, we also spent time at the week’s most accessible car shows—which are free or quite reasonable—showing that gearheads of all economic persuasions can have a great time in Monterey. Keep this list handy so you can prepare for next year’s gathering. 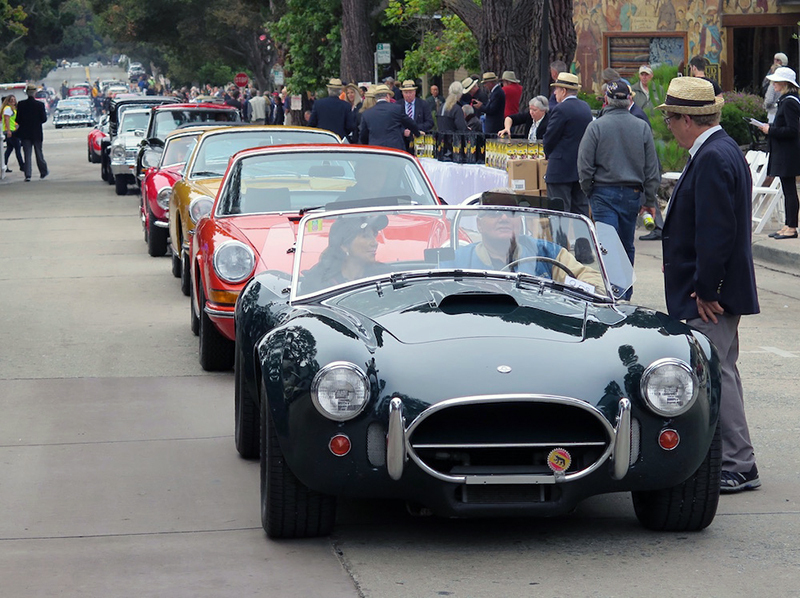 Concours on the Avenue: Carmel by the Sea Monterey’s car week kicks off on Tuesday with this free event held on Ocean Avenue, the main drag of beautiful downtown Carmel. About 200 cars are on display to warm up the crowd for the other car shows and auctions that follow. It’s a laid back event, but the cars are top-notch. It starts at 10 am, but get there early or you might need to walk a long distance from your parking spot. The cars are cool, but it’s also Carmel’s great restaurants and shopping that make this event so enjoyable. Wednesday’s Little Car Show is a celebration of cars with engines that are 1600cc or smaller. The cars come from across the globe, but must be made no later than 1991. 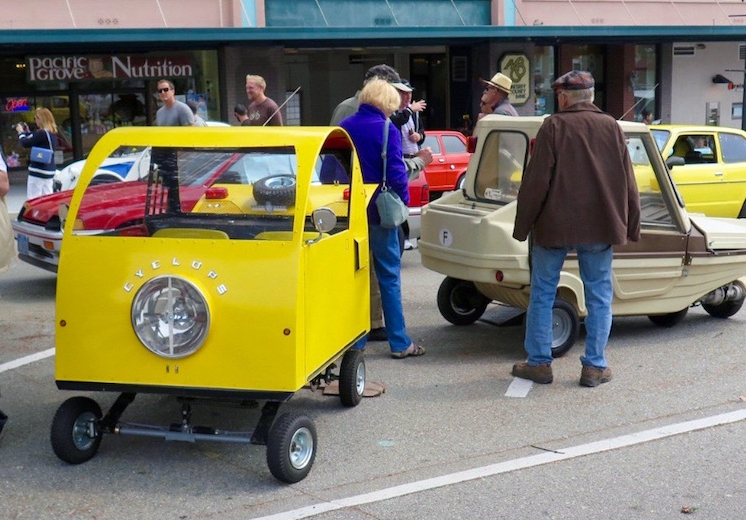 Some of the rarest micro-cars from the US, Europe, and Asia are on display. The free little show, running all day from 11 am to 5 pm, features about 100 cars. It takes place next to to the Monterey Bay Aquarium and Cannery Row. 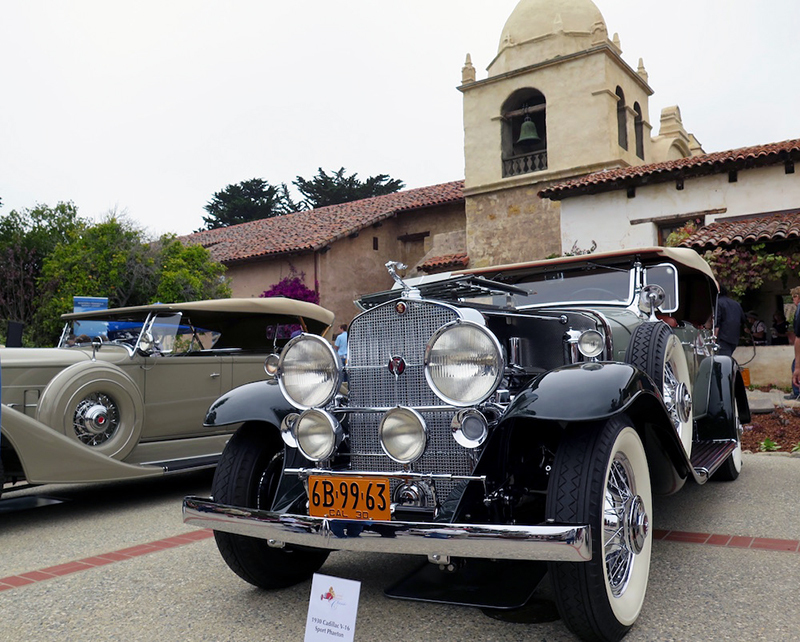 The Mission Classic car show, hosted by the Knights of Columbus, is an annual charity event to support the Carmel Mission. This historic mission, established in 1771, is one California’s oldest and finest example of the state’s early religious colonial outposts. This show costs $50, but the price is well worth the access to great automobiles from nearly every era. Besides, there is wine tasting from some of Monterey County’s finest vineyards and gourmet foods prepared by local chefs. This year’s cars included everything from a Pagani Huayra, a Ford 1919 Model T hot rod, to a 1959 Ferrari 250GT—similar to the one that sold at the Gooding auction for a cool $18 million. Barry Meguiar, host of the popular Car Crazy television show, was this year’s master of ceremonies. The Carmel Mission is minutes off Highway 1. 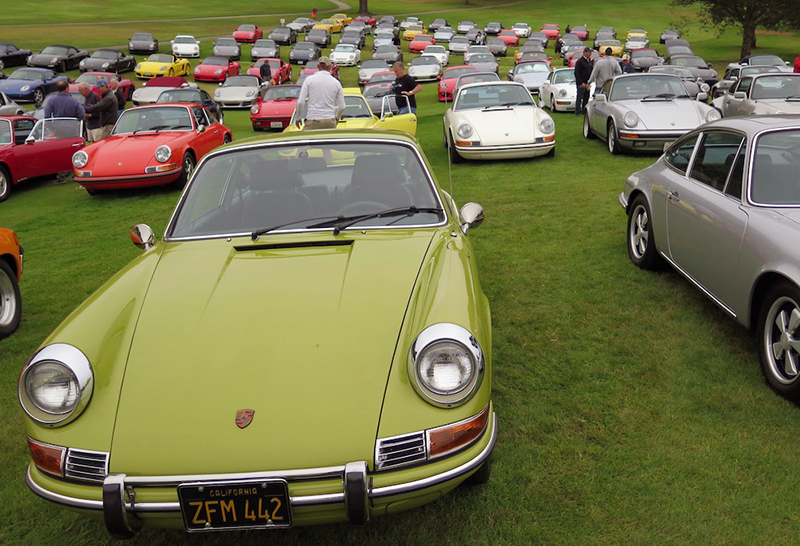 On Friday, the Porsche Club of America sponsors a free show open to all Porsche clubs, owners, and enthusiasts. Think of it as a mini Porsche Parade celebrating Porsche cars, trucks, and even tractors. It’s held at the Rancho Canada Golf Course on Carmel Valley Road, a couple miles off Highway 1. 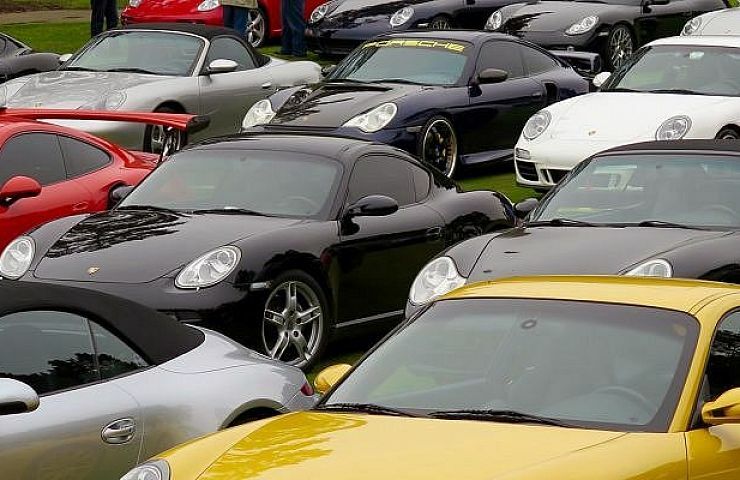 This casual event brings together Porsche lovers to carefully examine the cars segregated by Porsche model. The show being at 7 am. We advise getting there early to take advantage of free parking—and leaving well before closing time at 4 pm. Otherwise, you will get caught in an afternoon gridlock of McLarens, Lamborghinis, Ferraris, Bentleys, and Bugattis as gearheads from this event, and the exclusive Quail Gathering that takes place a mile away, clogs up Highway 1. Even if you get caught in traffic, it’s a small price to pay for this must-see event for Porsche lovers. We found that the best way to finish Monterey week: with a visit to the cool and crazy Concours d’LeMons. 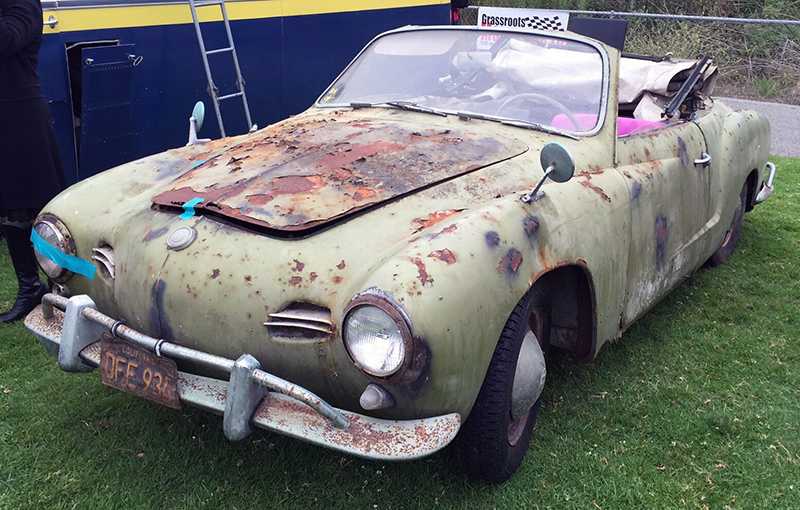 (Get the joke: concours of lemons.) Held at Laguna Grande Park in Seaside, it’s is a display of oddball, mundane, and truly awful specimens from the automotive world. After all the glitz, this event is a delightful celebration of duds and rust buckets. The judging rules are arbitrary and the judges are openly accepting of bribes. (Liquor and donuts are favorites.) This free event starts 9 am (more or less), and runs until the early afternoon or when everyone loses interest and leaves. It’s a blast.